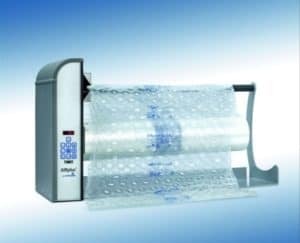 Increase productivity with Storopack’s versatile inflatable packaging air pillow machines. Choose from a variety of air cushion and bubble packaging products for void fill, wrapping, and block and brace. 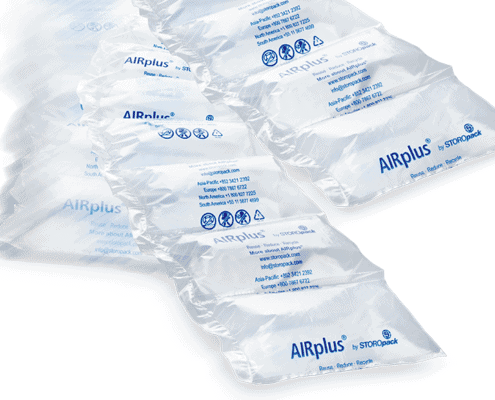 AIRplus® air bag packaging is the perfect option for fast, lightweight void fill. This type of block and brace packaging gently holds your products in place during transport. 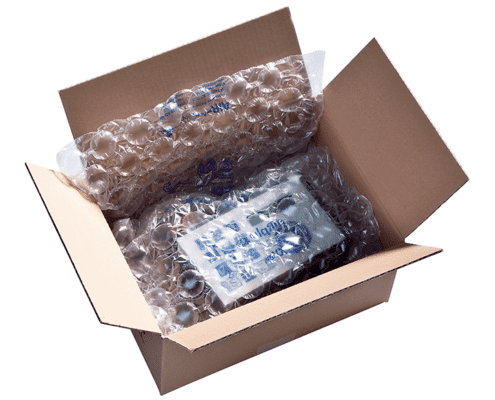 For protective wrapping, Storopack offers AIRplus® Cushion Film and AIRplus® Bubble for an on-demand bubble style wrap. Storopack’s air cushion machines are designed for speed and performance. They’re compact enough for a single packaging table, yet powerful enough to integrate into a high-volume packaging delivery system. Variable speed controls allow you to manage the system for your application. Convenient Disposal: one step to deflate packaging material leaving only the empty film. AIRplus® Cushion air cushions are the perfect protective packaging solution for wrapping products. The pad strand can be conveniently separated to the desired length using the perforation between each film section. 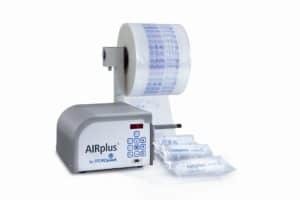 AIRplus® Cushion is available with 2, 16, or 28 air chambers per film section. This provides the flexibility needed to fit the varying contours of different types and sizes of products. The protective function of the AIRplus® Cushion is CUSHIONING. The AIRplus® Void air cushions are perfectly suited for void fill to quickly and economically fill empty space in the carton in one simple step. Equipped with this protective packaging, the products are fixed in the package and cannot move around. This air cushion type is, for example, an ideal solution for pre-packaged products or articles with little or no danger of breaking. 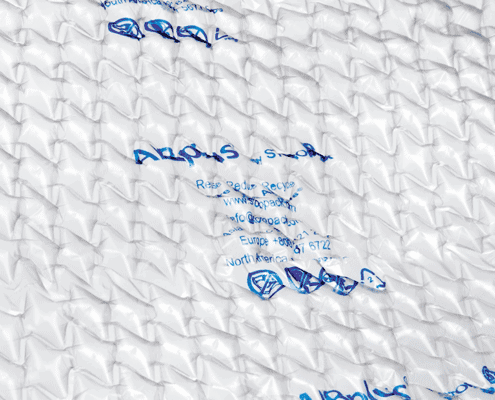 AIRplus® Void air cushions are a perfect block and brace packaging material. Using this protective packaging, the products are fixed in the package and cannot move around. This is a fast and economical way to fill empty spaces in the carton and brace the products in one simple step. This air cushion type is, for example, an ideal solution for pre-packaged products or articles with little or no danger of breaking. The protective function of the AIRplus® Void air cushion is BLOCK & BRACING. Wrapping sensitive products in AIRplus® Bubble air cushions ensures the object is padded and protected from scratches on all sides. With the simple push of a button, this on-demand solution efficiently replaces pre-made bubble style wrap, saving storage and reducing handling costs. The “Smart Tear Off” quality perforation lets packers quickly separate sections without looking for the perforation. One single section has a length of just 3.35 inches, making it significantly more material- and volume-efficient for packaging and protecting small products than the market standard of 9.84 inches. AIRplus® Bubble is also easier for the recipient: one cut and the packaging material is deflated leaving only the flat film. The air cushion line of AIRplus® Bubble is one of the lowest cost solutions on the market. 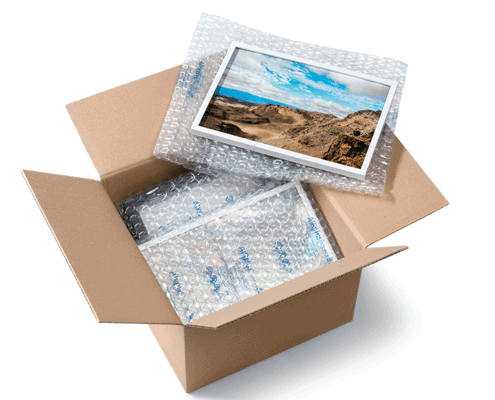 The protective function of the AIRplus® Bubble is WRAPPING. Storopack AIRplus® inflatable air packaging machines are easily tailored to individual requirements, providing the perfect protective packaging solution that integrates effortlessly into any packing line. Their small footprint and large production capacities provide optimum performance for any packaging environment‚ regardless of volumes. When space is at a premium the AIRplus® Mini air cushioning system fits right in. Small, yet highly productive the AIRplus®Mini saves valuable storage and handling space used on a tabletop or a stand. AIRplus® Excel is a hard-working inflatable air packaging machine with versatile features. 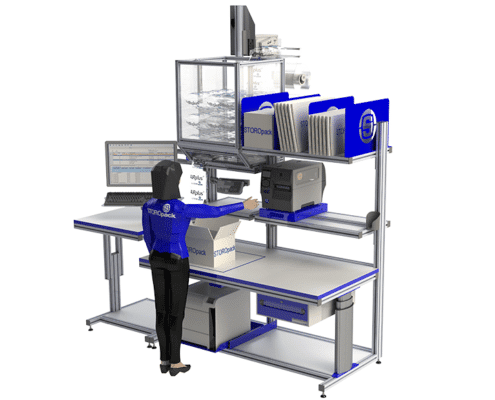 Easily integrated almost anywhere in your packing environment, Excel can be placed on a tabletop or used on a stand that will hold up to three rolls of film for non-stop production.